The Megastar Amitabh Bachchan upcoming movies details are daily updated here. He has completed around 50 years in the Film Industry and worked in 200+ movies, won numerous awards and nominations for his peerless work in Indian Cinema. Four times national awards winner for best actor Amitabh Bachchan honored by Padma Vibhusan- second highest civilian award in 2015, Third highest civilian award Padma Bhushan in 2001, and Fourth Highest civilian award Padma Shri in 1984 by Government of India. Amitabh Bachchan is the son of legendary Hindi Poet Harivansh Rai Bachchan and social activist Teji Bachchan. Veteran actor Amitabh Bachchan is one of the highest educated personalities of Bollywood, respected by each and everyone in the Film Industry. The actor is not only popular for his acting, his baritone highly loved by the fans, has sung several hit songs like Bbuddah Hoga Terra Baap, Hori Khele, Main Yahan Tu Wahan, and Chori Chori etc. 11 October 1942 born Amitabh Bachchan started his acting career in 1969 but failed to get success and did continuously flop movies. But Hrishikesh Mukherjee directed Anand (1971) made him popular, received the Best Supporting Actor award by Filmfare. But unluckily he failed once again and did 6-7 flop movies during 1972-77. Namak Haraam (1973), Amar Akbar Anthony (1977), Don (1978), Agneepath (1990) are these movies made him Shehanshah of Bollywood. 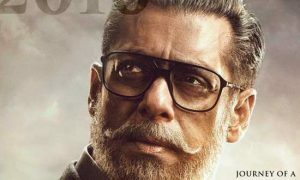 The actor is going to complete almost fifty years in Bollywood, still ruling like a boss. Pink (2016), Piku (2015), Wazir (2016), Paa (2009), Sarkar 3 (2017) are these latest movies proved him an amazing evergreen actor like the diamond of Indian Cinema. Umesh Shukla’s drama 102 Not Out (2018) received very positive reviews from critics and audiences. Amitabh Bachchan and Rishi Kapoor collaboration after 27 years get praised. Ranbir Kapoor going to play an Indian superhero in Ayan Mukerji directed Brahmastra (2019) which will produce by Karan Johar. 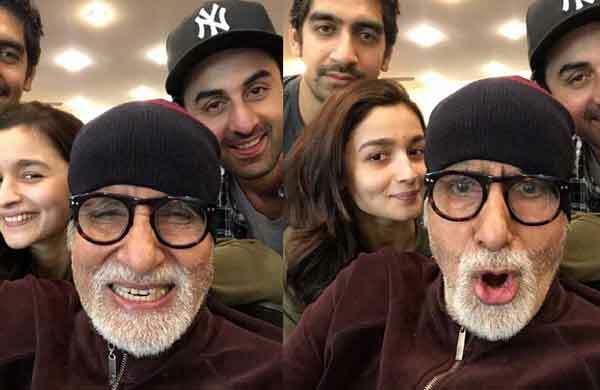 Alia Bhatt is working opposite Ranbir while Amitabh Bachchan will play an important character. Shooting begins on 24th Feb 2018. 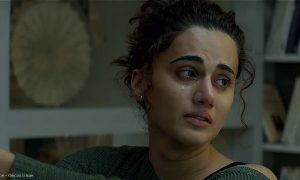 Megastar Amitabh Bachchan is playing an important role in his Pink co-star Taapsee Pannu’s film called Badla. Taapsee stars the shoot on 13th Jun 2018. Nagraj Manjule who is best known for his Marathi Blockbuster Sairat to make his directional debut in Hindi and his first project is called Jhund stars Big B will play the role of a retired sports teacher starts a slum soccer movement. Amitabh Bachchan will play a cameo role in megabudget (Rs 200 Crore) film stars Chiranjeevi, Vijay Sethupathi, Nayanthara, Tamannaah in key roles. 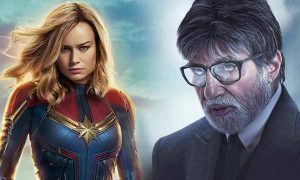 Reportedly, Amitabh Bachchan and filmmaker R Balki to collaborate for the 4th time after well noticed Cheeni Kum, Paa and Shamitabh like unique films. Sejal Shah directed comedy-drama Hasmukh Pighal Gaya releasing date postponed several times but the film is now expecting to be released in 2017. Shoetbite is inspired by Labour Of Love by M. Night Shyamalan. Ace filmmaker Shoojit Sircar-directed this film under UTV Motion Pictures. This will be a science fiction film, Amitabh Bachchan and his son Abhishek Bachchan are going to play key roles in the film. Aankhen 2 will sequel to Vipul Amrutlal Shah directed Aankhen (2002), story theme will be the same that blind men will rob in the movie. Arshad Warsi replaced Akshay Kumar and Ileana may replace Sushmita Sen in this film. 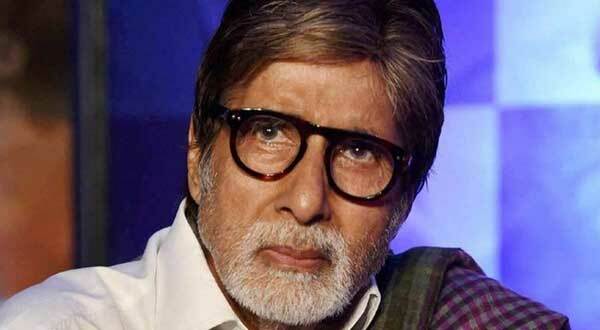 Amitabh Bachchan will play a key role in The Legend of Kunal directed by Chandraprakash Dwivedi. Buddam Sharan Gachhami is a crime thriller film directed by Vivek Sharma. Amitabh Bachchan is playing an important role in this film. These are Megastar Amitabh Bachchan upcoming movies & release date 2018, 19 & 20. If you have any query related the article, you may ask below.